What is my case worth? What should I do after a bicycle accident? My car's brakes didn't function properly, do I have a case? Should I sign the insurance company's proposal? Some of your questions may have been answered already on Mark Blane's website. However, San Diego county accidents happen all the time, and all sorts of different questions about different injury scenarios can be raised by a person who is injured. As a result, this personal injury website is dedicated to answering your frequently asked questions about a variety of injuries, your legal rights, and what procedures you should follow. 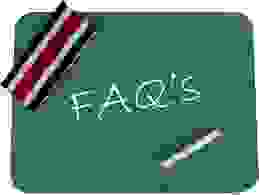 Just browse our frequently asked questions (FAQ) section (below) and look them up. If you have other or more specific questions, just send an email (Contact Us) and you will receive a reply without delay! Is there a minimum amount for my medical bills in order for them to be covered by my insurance company after a car crash in San Diego? CALIFORNIA AUTO INSURANCE: In California, who or what parties are usually covered under a California auto insurance liability policy? CALIFORNIA CAR INSURANCE: In California, which vehicles are normally found to be covered under a valid California auto insurance liability policy? CALIFORNIA (AUTO) COMPREHENSIVE INSURANCE COVERAGE: What is California comprehensive coverage in an auto liability policy? CALIFORNIA ACCIDENT | INSURANCE COMPANY: Should I talk to the other driver's insurance company if they call me? CALIFORNIA CAR ACCIDENT | INSURANCE COMPANY: Should I contact my own insurance company after an accident?